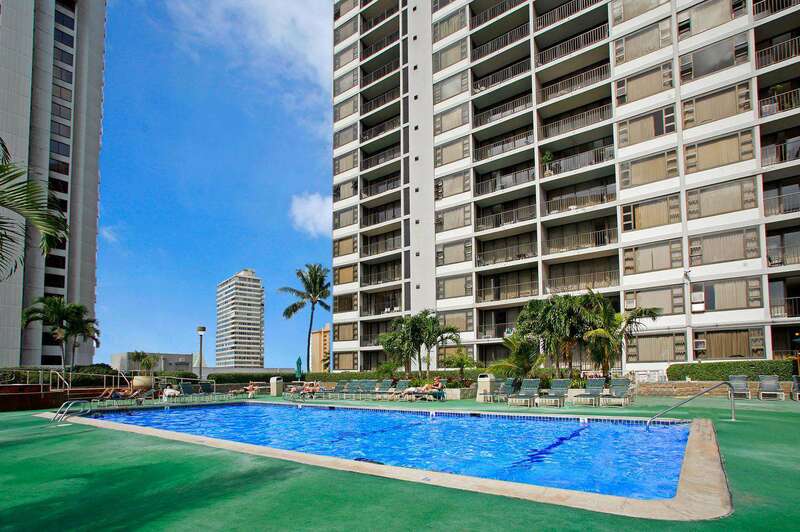 Great location only steps to the beach, shopping, bus lines, and restaurants. 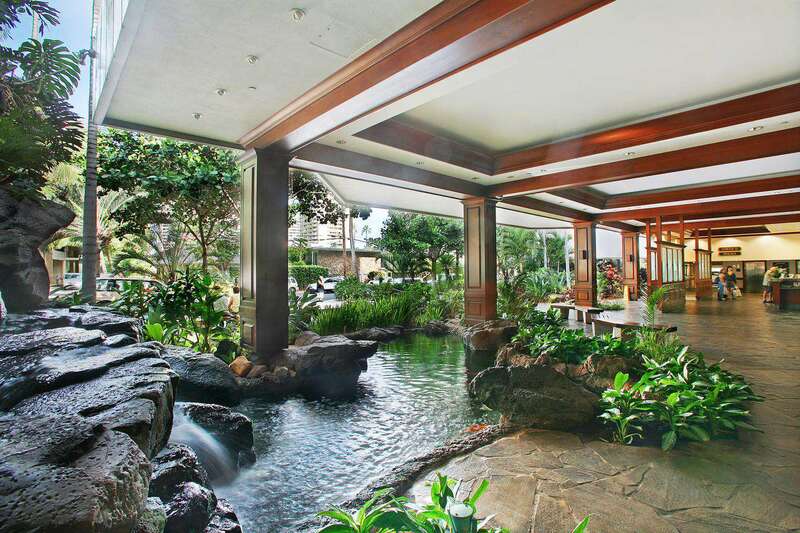 Guests return year after year to the Waikiki Banyan that they have grown to love. 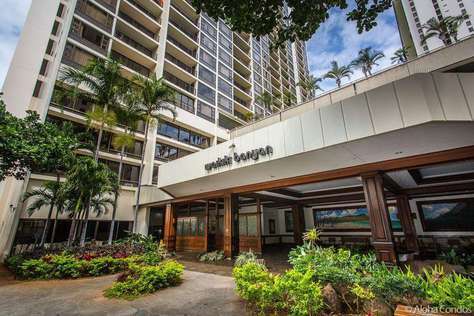 Alohana Waikiki Banyan 2514. 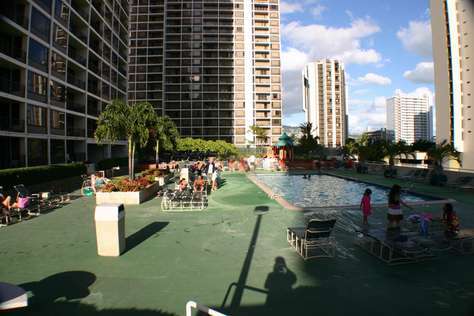 This 25th floor, one bedroom corner unit condo at the Waikiki Banyan Tower 2 has 1 full size and 1 twin size beds. It will accommodate up to 3 people. 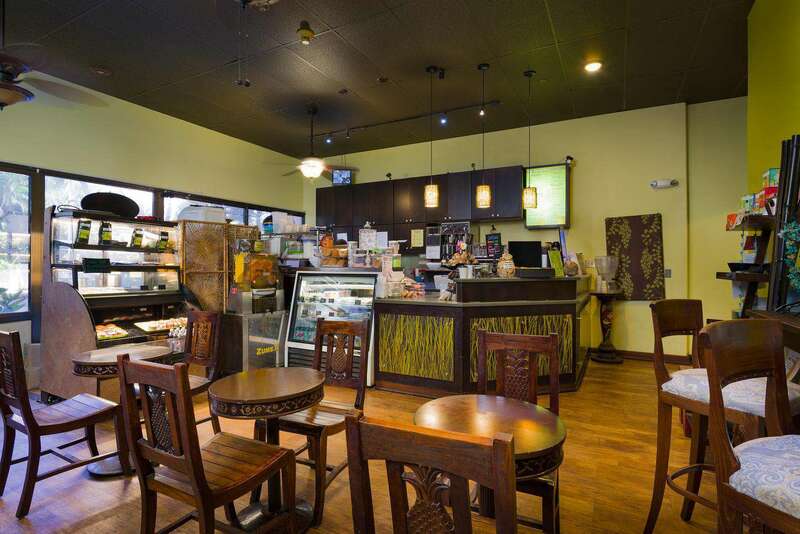 Enjoy the LCD flat screen TV or cook a gourmet meal in the fully equipped kitchen. Free high-speed internet, WI-fi provided. Window A/C keeps you cool inside, or open the windows for plenty of cross ventilation. 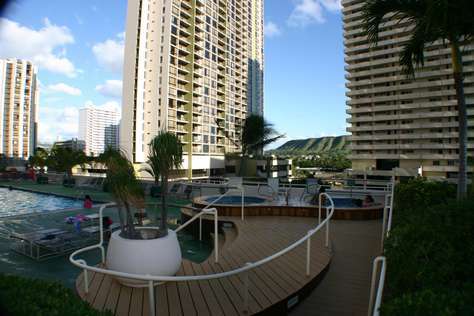 The balcony is perfect for outdoor relaxing and watching the surfers in Waikiki. 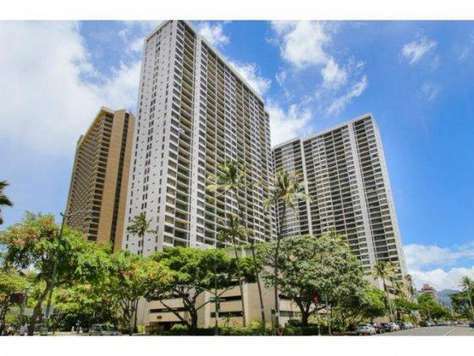 Located in a prime location near the center of Waikiki and close to the zoo and Kapiolani park or the bustling nightlife of the Waikiki strip, you are close to it all. 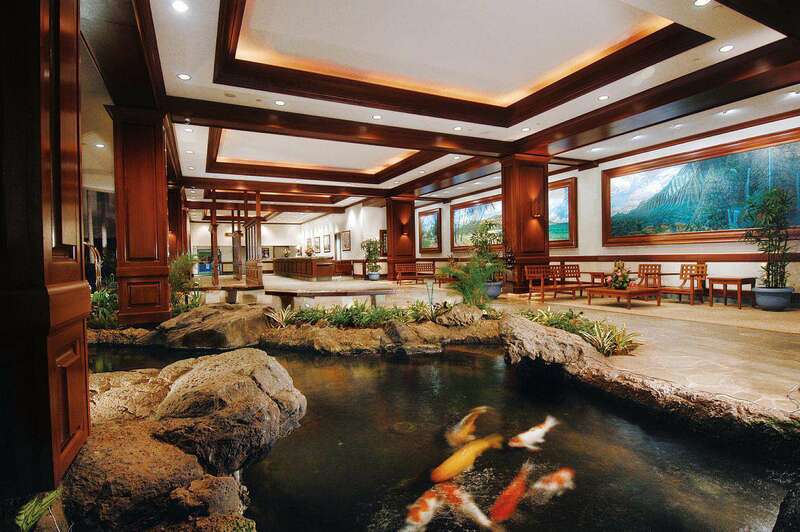 The lobby and property entry has the feeling of the Hawaiian Ohana. Close by is Waikiki Beach and the Duke Kahanamoku statue. Parking for 1 car in building parking structure included. We do not accept 2-night bookings unless they start or end next to another booking. Please contact us for more information regarding 2-night bookings. This property has 1 Full(s), 1 Twin(s). 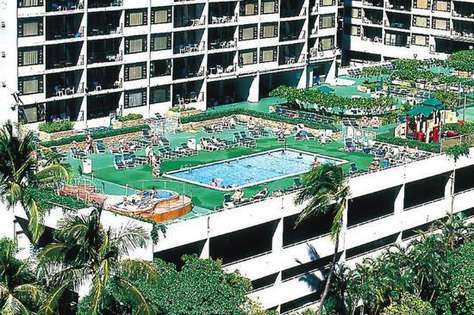 We had a comfortable and relaxing stay at the Waikiki Banyan. 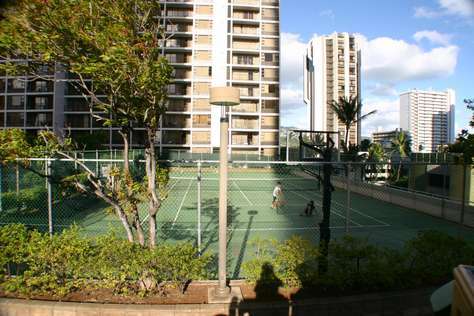 Located conveniently 2 blocks from Waikiki beach, the Waikiki Banyan is close to many nice shops and restaurants. 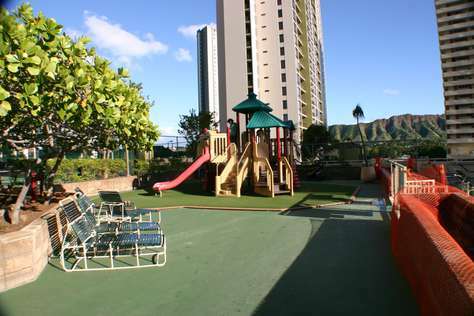 This corner unit definitely has an advantage over other non-corner units that we've rented before at the Waikiki Banyan, because it feels much roomier and you get two views. 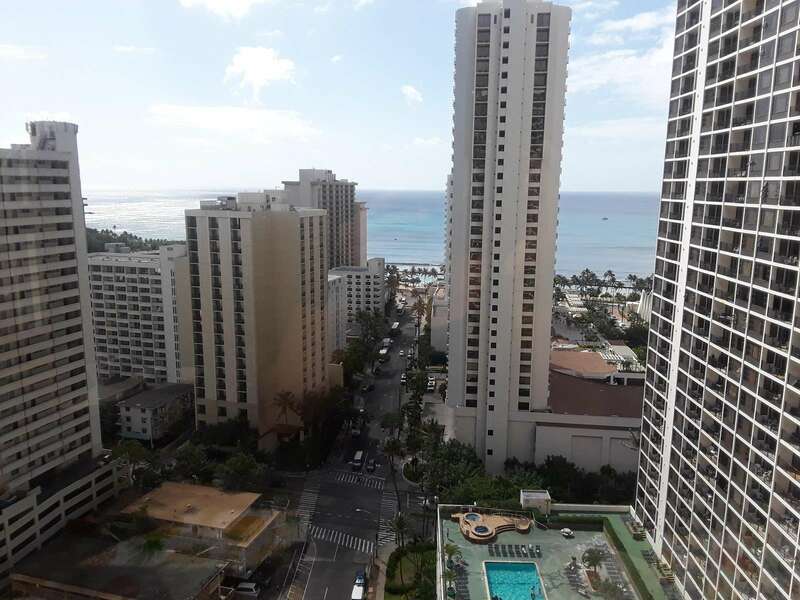 Being on a higher floor, we got a nice partial view of Diamond Head, and a pretty decent view of the blue ocean from the living room area and Lanai. 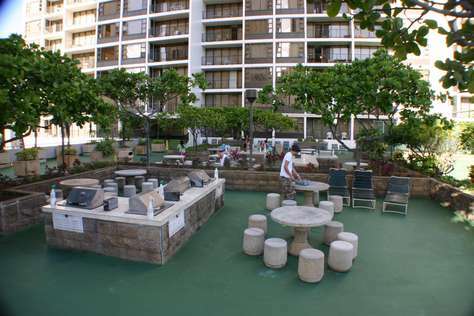 We really enjoyed sitting outside the Lanai to take in the wonderful and relaxing surrounding of Waikiki's neighborhood. The 2 couches in the living room area were very comfortable and very clean. There was also a nice 46" Sony Flat screen t.v and free wifi for entertainment. The bathroom was clean and was fully stocked with shampoos, conditioner and body washes; having these unexpected extras was a big plus for us. Although the kitchen could use some renovation, it was very well equipped with the essentials (pots, pans, spatulas, dishes and glasses, forks, spoons etc..) for cooking a meal. ; it was a very functional kitchen with a nice window view of Diamond Head. Having the laundry room located beside this unit was very convenient; there was a coined operated washer and a dryer. Free parking was another huge bonus for us since parking in Waikiki is about $20/day. 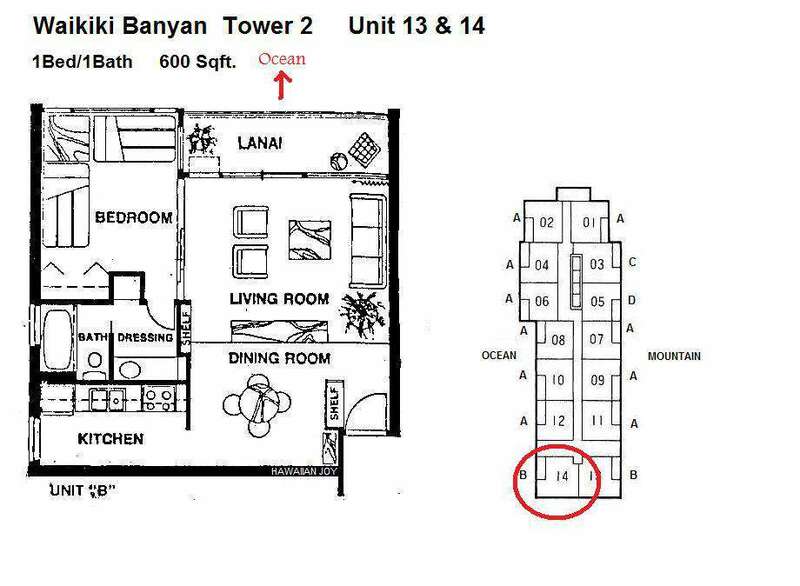 We would also like to mention how accommodating the property manager was when we had questions about the unit. He was very professional and responded very promptly to our questions. 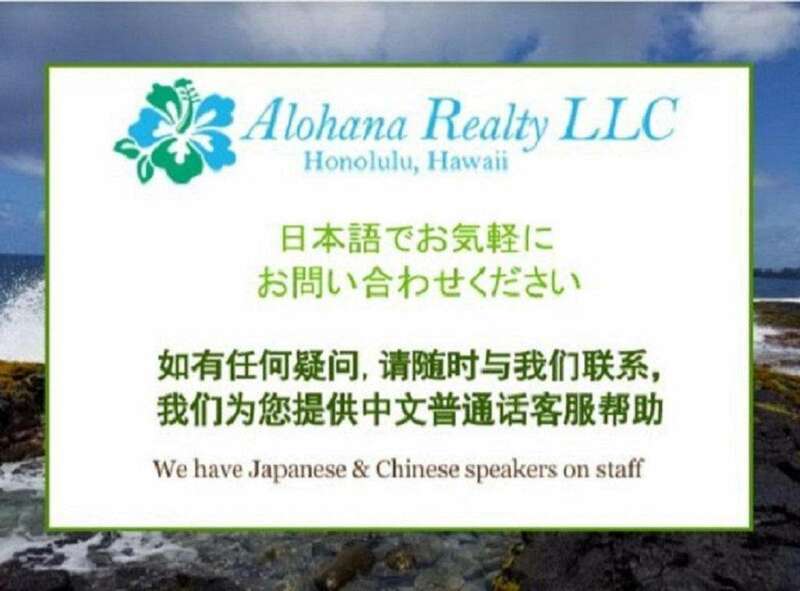 We would definitely come back to Honolulu and book this unit on our next visit.